Terrifying audio has been released of the 911 call made earlier this year by an Arizona widow as she confronted and then shot a home intruder. The 47-year-old woman called 911 and hid from sight on May 6 after hearing 20-year-old Michael Lewis break into her home. What happened next came straight out of a movie. "Please help me. 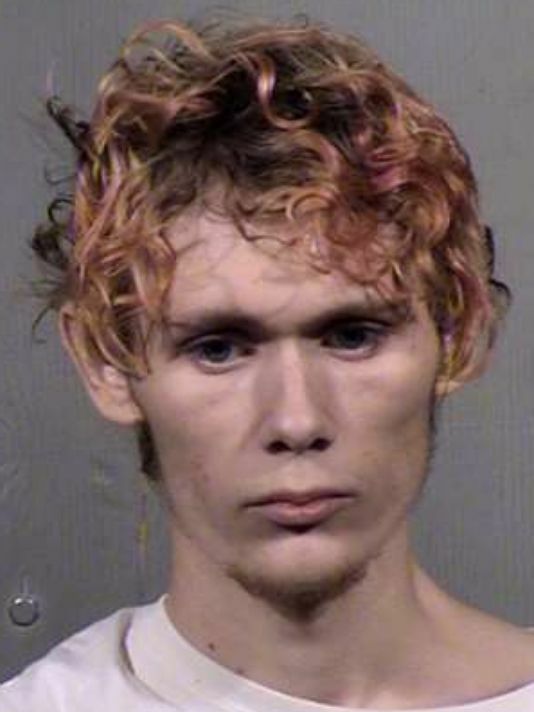 Somebody is trying to get into my house," the scared woman told a 911 dispatcher in audio made public by AZCentral. "They've tried my front door, my front door, and now they're trying to break in my back gate." The 911 operator tells the woman to stay on the phone while police are on their way. "I have a gun in my hands. I'm terrified," the widow continues. "I think they're in the back now. Somebody is in the back on my porch. The operator assures the woman that help is on the way and asks if she can see anyone. "No but somebody is banging on my arcadia door," she replies. "They just broke in. They broke my arcadia door." The woman then whispers that she can see an intruder before confirming the location of the home. There is garbled screaming and then a gunshot. "Ow! S**t! What was that? What was that? What was that? F**k did you do?" Michael Lewis can be heard shouting. "Did you think you could beat me half to death?" The homeowner then yells at him before telling the dispatcher Lewis hit her. "He was beating on me when he found out I was in here. That's why I dropped the phone and I almost dropped the gun but I ended up shooting." The locked and loaded widow told AZCentral her late husband taught her how to use the .38-caliber handgun she used to take Lewis down. They two continue shouting back and forth until police arrived. The woman suffered minor injuries to her face, but is expected to make a full recovery. Lewis was arraigned in June after a month-long hospital stay. He pleaded guilty to charges of second-degree burglary and aggravated assault. His sentencing hearing is scheduled for later this month.